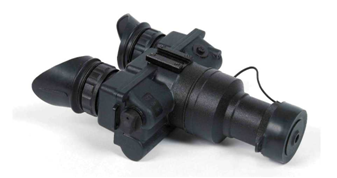 Night Vision Goggles "ONV3/1x" is full robust and high performance device is equipped by one "3rd Generation Image Intensifier Tube having the high level sensitive photocathode and the built-in power supply unit. 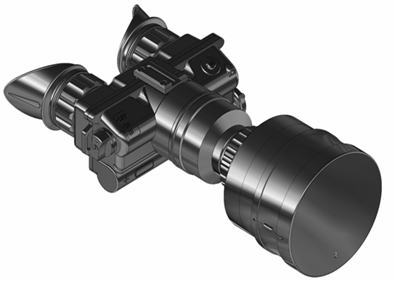 The device is featured by the high quality 1x lens and the specially designed eyepiece system that all together provides high quality imagery in most unfavorable conditions and observation having smooth resolution distribution of an image over entire field of view. NV Goggles ONV3/1x has the automatic brightness control system and the automatic cut-off device that protects II Tube and a user's eyes from unexpected flashes of lights and subsequent damage and temporary blindness. ONV3/1x is equipped with superb IR illuminator for highlighting of objects at entire darkness. Infrared operation and low battery indictors are displayed within a user's field of view. Comfortable adjustable head mount allows fitting of Goggles in front of eyes and its flipping up and fixation in vertical position if necessary in course of operation. Switch-on mechanism and the cover of battery compartment are comfortable to use either operating in gloves. 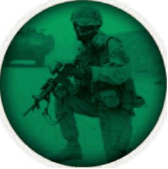 So for any activity you plan on doing which requires night vision and hand free operations, ONV3/1x presents the best and modern solution! 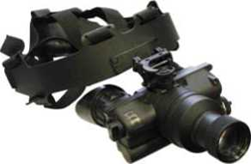 ONV H mount and U mount – Kevlar Helmet Mounts, are metal helmet mounts for attachment of ONV3 & ONV2 Night Vision Goggles to a standard PASGT infantry Kevlar helmet by means of a rugged strapping device and grooved hooks. 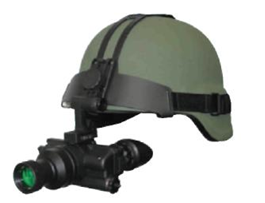 While attached to helmet mount, NVG Goggles can be positioned directly in front of user's eyes or flipped. Camera Adapter Assembly allows night-time photography and recording. The adapter replaces the Ocular. No any other additional adaptors are required for cameras with 35mm or video with 37mm thread in front of the camcorder's objective lens.